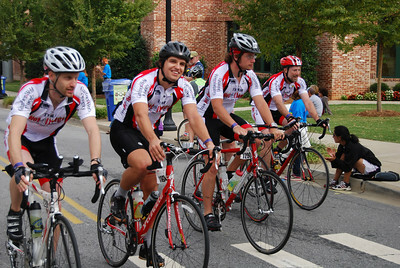 The GWU MS Bike Team stays strong until they are finished with their 2-day bike ride. 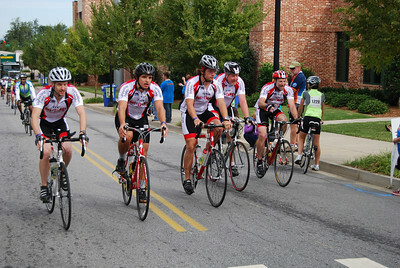 The GWU MS bike team finishes their second day (35 miles). 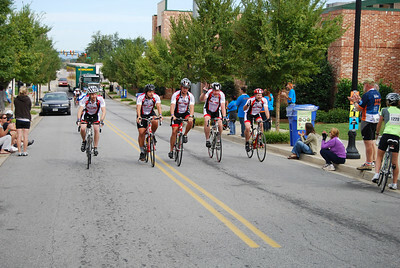 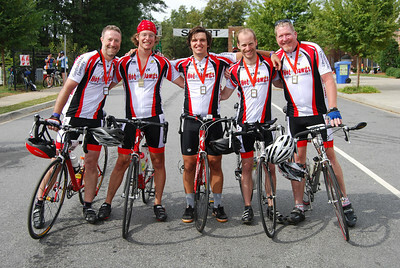 The GWU MS Bike Team rides through the finish line together. 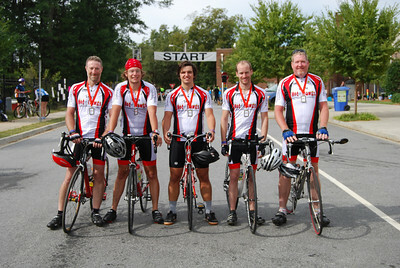 The GWU MS bike team consisted of Kent Blevins, Justus Hawks, Taylor Doolittle, Adam Fisher, and Don Olive. 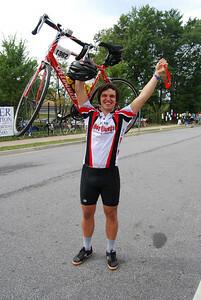 Taylor Doolittle holds his bike in one hand and medal in the other to celebrate finshing the ride.